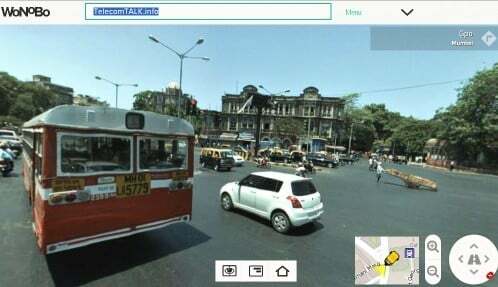 India’s very own geospatial solutions company Genesys, today announced the launch of WoNoBo.com, offers 360-degree ‘walkthroughs’ of streets across 54 Indian cities just like Google Street View. WoNoBo users will be able to search, explore and share ‘points of interest’ across the length and breadth of the country. At launch, the service will be available for 12 major Indian cities and will soon be expanded to 54 cities. WoNoBo.com also announces a tie-up with Incredible India, Ministry of Tourism, Government of India, for the launch of Walking Tours, a unique and exciting product that will enable users to navigate and route their way through cities based on a number of interesting themes. WoNoBo is the first urban chronicle of today’s India, having mapped panoramic imagery of thousands of square kilometres and close to 10 million places of interest across the country and continue to updating the platform. Offers 360-degree ‘walkthroughs’ of India’s most visited monuments. WoNoBo.com also offers several other services. One, for instance, enables users to illustrate, using 360-degree views, the colourful, chaotic, dramatic lives they lead in different corners of the country. It also offers guides, created by users as well as experts, showing locals where to eat, what to shop for, where to take your children while visiting and a lot more. WHAT!! So the moron govt of India cries about “threat to national security” when Google tried street view in 2009, but they’ve got no problems with this wonowo whatever? But needs some refinement as the “Search” for location does not seem to work.